Deer are Herbivores, and so are you! 25% of all the people in the world are Deers/Herbivores. 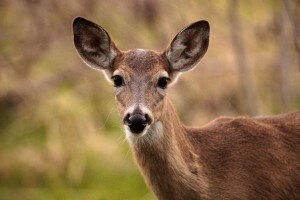 Deer are the “APOE 4″ genotype that is considered the “Carb Type”. Following a diet with the proper amounts of macros (higher carbs in relation to protein and fat) will nourish your “Deer” needs & can prevent and reverse chronic disease. Family history of heart attacks and early onset of heart disease. Higher sensitivity to smoking and increased risk for lung cancer because of their impaired detoxification pathways. Now, if you take those “susceptibilities” and put a poor lifestyle on top of it, you are looking at a sure-fire problem. Lack of exercise, smoking, poor nutrition habits or overeating cause havoc for everyone, but Deer in particular. The good news is you can turn off this gene by leading a healthy lifestyle. Just because you have a loaded gun, doesn’t mean you have to pull the trigger! A lower amount of animal protein is recommended. Can tolerate a wide and abundant variety of vegetables and fruits. Grains are also permissible if no underlying inflammatory conditions are present. Tendency for a slower metabolism; large amounts of protein and fat are not recommended for this reason. Choose low protein and foods with naturally occurring lower fat choices, but not “fat-free” or “low-fat” products. • Eat protein with most but not all meals. • Balance your carbohydrate intake between starchy (ie grains, squash, sweet potatoes) and non-starchy (ie veggies & dark leafy greens). • Minimize fats and oils but do not cut them out completely. • Eat limited nuts and seeds. • Snack as needed & consider smaller & more frequent meals. • Enjoy ancient/sprouted whole grains in moderation. Follow the “Deer” recipes & Way of Living, and you will find your balance and continue your good health! We have an Ebook all about Plant Based Diets. It may help you transition to a more plant-based diet if your wish to opt out of animal protein.